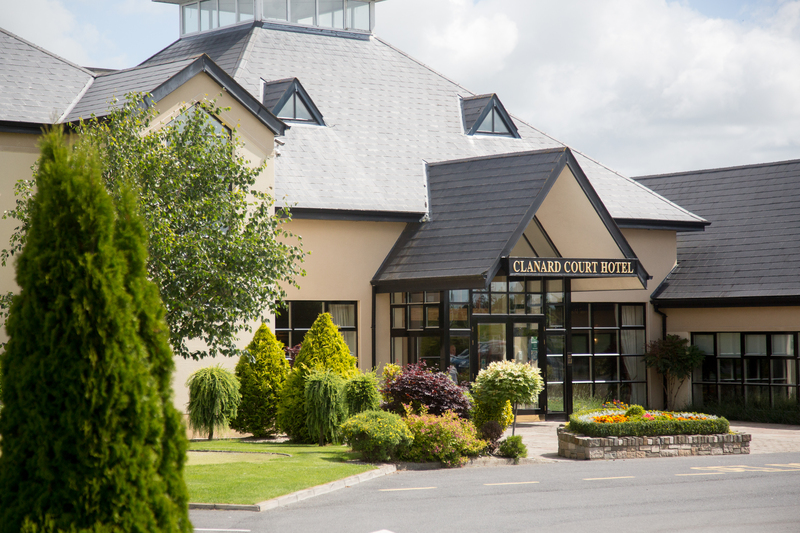 Clanard Court Hotel is based in the equine region of Kildare and surrounded by beautiful manicured grounds and landscaped gardens. The emphasis throughout this elegant and modern hotel is comfort and luxury, which begins in the large foyer with an open fire. 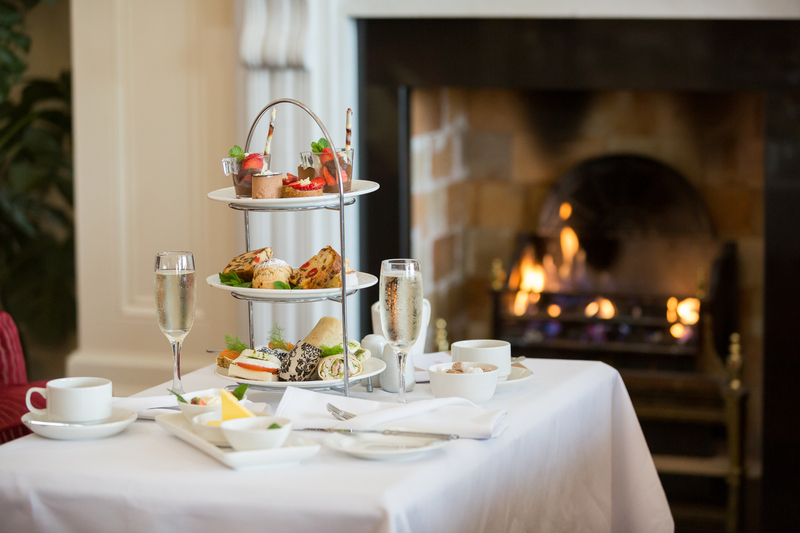 Immerse yourself in the character, charm and elegance which is the essence of the Clanard Court Hotel.The check in time for the hotel is from 4pm. Clanard Court, located 60 minutes from Dublin and only 15 miles outside Naas town. Many of the riverbank areas are open to walkers as are a number of canal walks and these can be taken in whole or in part. There are also forest walks at Blackwood. There are a number of famous walks within easy reach of The Clanard Court such as South Leinster Way, Mount Leinster, Blackstairs Mountains and The Ridge, Stradbally and Saint Fiachras Garden. Lovely stay there, great food, friendly helpful staff. Would stay again..
We stayed overnight on Mothers day although hotel was very very busy we were looked after straight away booking in was quick and easy. Rooms were nice and spacious as there were three of us. We had a lovely dinner and a couple of drinks and a great time was had by all of us we would happily return to this hotel. My Mum, sister and I really enjoyed our one night stay here at the Clanard Court. The staff are really friendly and helpful. The food was delicious. We had a treatment in the Revive treatment area on the second day. This area is small, with two armchairs and two footrests in the relaxation area. It is very nice, though, and Emma, the therapist, was very professional and friendly. We took a trip to Kildare village, which was about 20 minutes away. I would highly recommend this hotel. Lovely hotel. Staff extremely friendly and helpful. Rooms nice and clean. Food was excellent. We will be returning. Beautiful Hotel, Great, big, comfortable, clean rooms, excellent food & very good staff, treat yourself to a two night stay (1 night is not enough) & you will not regret it - we have stayed here three times over a 5 year time span & the same standards applied every time, so they are consistently good at what they do - we can't wait to get back to our little haven from the Madding Crowds!! We stayed at Clanard Court Hotel for 2 nights . We were made most welcome They gave us an upgrade to a suite a really nice gesture Everything about the hotel was just perfect . We found all the staff friendly and helpful and we definitely would stay again and would recommend it to anyone. We had a lovely stay at this hotel . The staff were very friendly and couldn't do enough for us . The food was delicious . We were very impressed with this hotel and will be staying there again very soon Cheers . I could not find fault with this hotel, from the moment we arrived we we were made to feel very welcome. the rooms are lovely and spacious and the food was fabulous. The bar was very relaxed and we were made to feel very comfortable and relaxed from start to finish, I would highly recommend this hotel to anyone. I stayed in the Clanard Court on Friday 2nd June as I was celebrating a special occasion with my sister. As always we had a wonderful visit. The hotel is so relaxing, welcoming, warm and friendly staff in attendance throughout our stay. The food was fabulous I had the Seabass and Salmon dish which I will be back for once again and compliments to the chef. My sister is vegetarian and the chef never disappoints. I can only highly recommend the Clanard Court and I look forward to my next visit. lovely hotel, staff friendly, lovely big breakfast, comfy beds enjoyed our stay. I thoroughly enjoyed my recent stay in the Clanard Court Hotel. Staff as ever could not be more helpful. Food was fab as usual. I cannot fault the lovely atmosphere and delightful staff in Clanard Court and I look forward to my next stay. Posted by Lorraine on the 6th of March 2017. This was my second time to stay in the Clanard Court hotel with my sister for a short weekend break. We were delighted with our room which was very big and spacious, and very clean with all the accessories that we needed. The staff in the hotel were very friendly and attentive both at check-in time and during our dining experience at dinner in the restaurant and breakfast the following morning. The food in the hotel was very good, and my sister commented that her fish dish (for dinner) was excellent, and she was very pleased with the quality of the meal. Looking forward to our return visit soon, and we would recommend the Clanard hotel to friends. Stayed in the Clanard Court hotel as we were visiting the Kildare Village for a shopping weekend. We got a great deal and would recommend this as a base as it is only a 20 min drive to Kildare Village. We received a warm welcome and were very happy with our rooms. They were spacious and clean and the beds were very comfortable. We ate in the bar which was quite busy and the food was very good and reasonable. The service was prompt and friendly. Will definitely stay agin. Five of us booked into the Clanard Court on the 20th November for two nights. I have to say that we could not fault the hotel in any way. The treatments in the spa are were excellent, the food in the restaurant and breakfast was also very good. The hotel was spotless and the staff were very friendly. My sister and her sister in law had to leave early as their father in law died suddenly and the receptionist was very helpful and considerate when paying the bill. They did not charge for the night they could not stay and we really appreciated this. For this reason we will return to the hotel early next year. It is about 25 minutes drive to Newbridge and 15 mins to Kildare Village, so very convenient. Beautiful hotel in a quiet, peaceful location. The room was large, pleasant and comfortable. The shower was great! Everyone was kind and helpful. The food was good (you must try the sweet potato chips, amazing!). We had a very good time. This is an excellent Hotel to Stay in. The Hotel Staff cant do enough for you and are always there to assist you. We really enjoyed our stay, great setting, very accessible, lovely bright clean hotel. We found the staff extremely friendly ,helpful and good at their job. The food both morning and evening top notch. Definitely would recommend this hotel. Great hotel, very nice staff and lovely rooms Only down side was no on site pool. Stayed here on 10th June for one night. A lovely hotel set in beautiful surroundings. The room was lovely only one niggle we only had two channels BBC1 and BBC2. The food was fab and I must mention the staff, from reception to restaurant and bar were extremely friendly. We would definitely come back. A lovely experience. This hotel is a little gem. The location is good, services good, food good and the staff are also good. Made to feel welcome, with friendly staff. Dining was a pleasure. We had two members of my party who where not partilculary hungry for a full dinner. So asked for an extra plate to split a main course. The waitress offered to have the dish plated up in the kitchen and it was presented as two servings. Excellent touch. Hi, We had a wonderful stay in the Clanard Court last Friday night. the hotel is lovely and the food was lovely. The staff (without exception) were excellent. Extremely helpful and pleasant. We would highly recommend the hotel. Fantastic hotel, wonderful staff, beautiful room, fabulous location. 5 + stars. Will definetly be back. We were delighted we our stay at the Canard Court Hotel. We stayed on a Wednesday and Thursday night and really enjoyed the traditional band in the bar on Wednesday night (no loud speakers!! 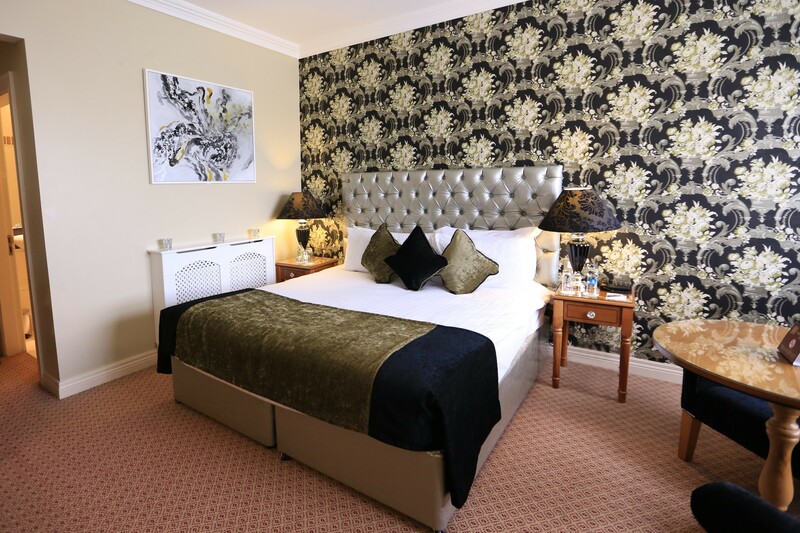 ), the staff were welcoming and very helpful and the hotel itself was spotless and very comfortable. A pity the same could not be said for Athy. Stayed here for a two night break on Sat/Sun 3rd and 4th May. Lovely staff and good food. My only gripe is having to travel to get to the swimming pool. Makes going more than once awkward - and with all the rain we had we would have spent most of our time there if it had been on site! Great location, we were going to Punchestown and very convenient for course. The service was friendly and efficient. The evening meal was very tasty but the breakfast was just a little below standard. The lack of bottle drinking water in the bedroom was surprising and dissappointing but overall I would be happy to stay in the hotel again as it was excellent value for money. The attention seeking sheep with the Llamas I'm sure would be very amusing for children. I stayed at the Clanard Court Hotel recently with my two small children and I have only great things to say about this hotel. We were given I very spacious family room that was both modern and very clean. We received a lovely welcome from the reception staff who could not be more helpful. We had dinner in the restaurant on one evening and breakfast the following morning. It was very high quality food and again the staff were lovely I never felt at any time that the children were not welcome in fact the staff chatted to them both. The hotel is in a great location to visit Kildare village and the Japanese gardens. I would highly recommend this destination and will use this Hotel again. Just back from a family stay in the clanard hotel, best family room by far.staff great and food fab. WE were delighted with The Clanard Court Hotel. The staff were especially friendly and help full..
We had a lovely stay in the Clanard court hotel. The room was lovely, large and comfortable. we ate in the bar the food was lovely. Good variety on the menu. The staff are very friendly and helpful. All in all we had a lovely stay and we will return to this oasis in Kildare. I recommend this hotel. My husband and I had a lovely stay in the Clanard Court Hotel. We were made very welcome by the friendly staff. They were pleasant and helpful. The room was beautiful . We enjoyed watching the exotic animals in the morning as we ate our breakfast. Room was lovely and spacious and clean. Lovely power shower too. Food was very good overall but disappointed in meringue dessert. Would stay here again for an overnight. Staff friendly. Fabulous hotel. Didn't want to leave the room it was amazing. Definitely going back. Great for a weekend retreat.